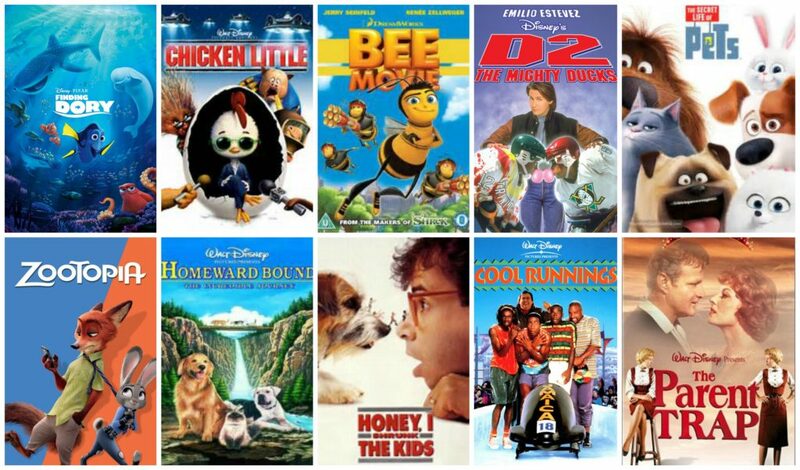 Home » Food for Thriving » Chili Cook Off Popcorn, with 10 Family Netflix Movies We’re Loving Right Now and a Giveaway! Yesterday was awesome. It rained hard and t-ball was canceled so after a really busy day full of field trips and life, we had a much needed family evening. I handed my husband the remote and had him and the kids put together a list of Family Movies currently on Netflix, that we love. Now, pause with me here. Am I saying all of these are appropriate for your 3 year old? No, but look at this list you guys, isn’t it great? Can you please give my hubby and kids a round of applause? Haha…but seriously. It’s awesome when your family can basically write posts for you. Let’s talk about Parent Trap for a moment. Doesn’t it bring back good memories? The clicking of the sticks together in the woods. I love that part! My girls have wanted to be all matchy-matchy ever since we watched this! I snuggled into the couch with them and as I rested there with my people, I realized I was literally touching my ENTIRE family of 5 at the same time. Squished in between my son and husband, holding hands with my middle girl and our youngest laying on my lap. It was a really happy moment and that friends, is why I think family movies are important. Slow down, put your phone away. Watch the entire thing. Be with your people. 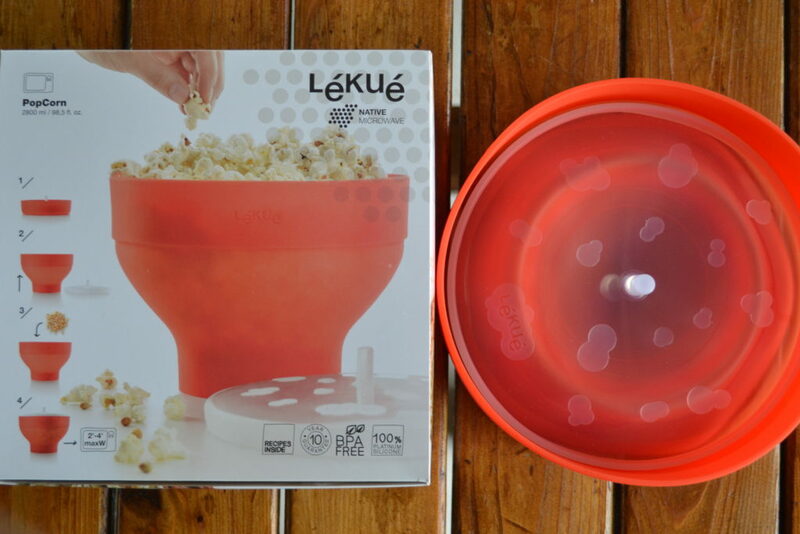 To go with the movie, we had some family fun creating a popcorn recipe, using this awesome BPA-Free Silicone Microwave Lekue Popcorn-Popper. I am in love (big time) with this thing. 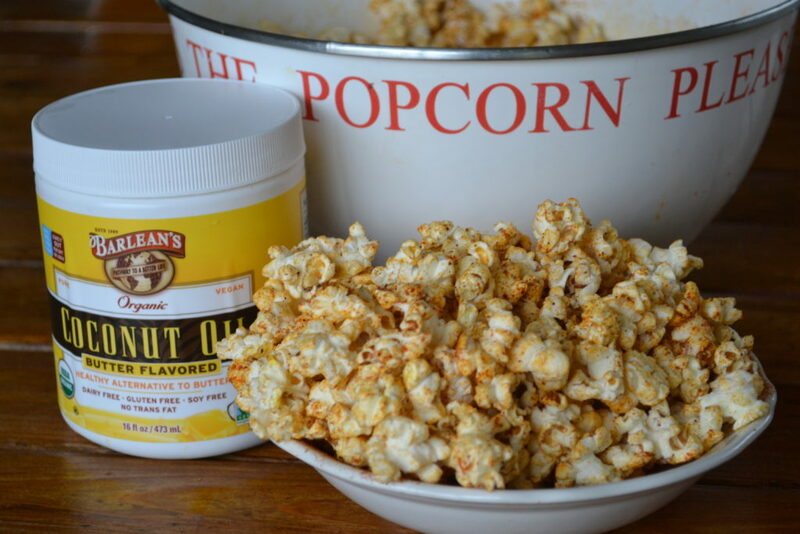 Our kids love popcorn and with this, it’s so easy and inexpensive. 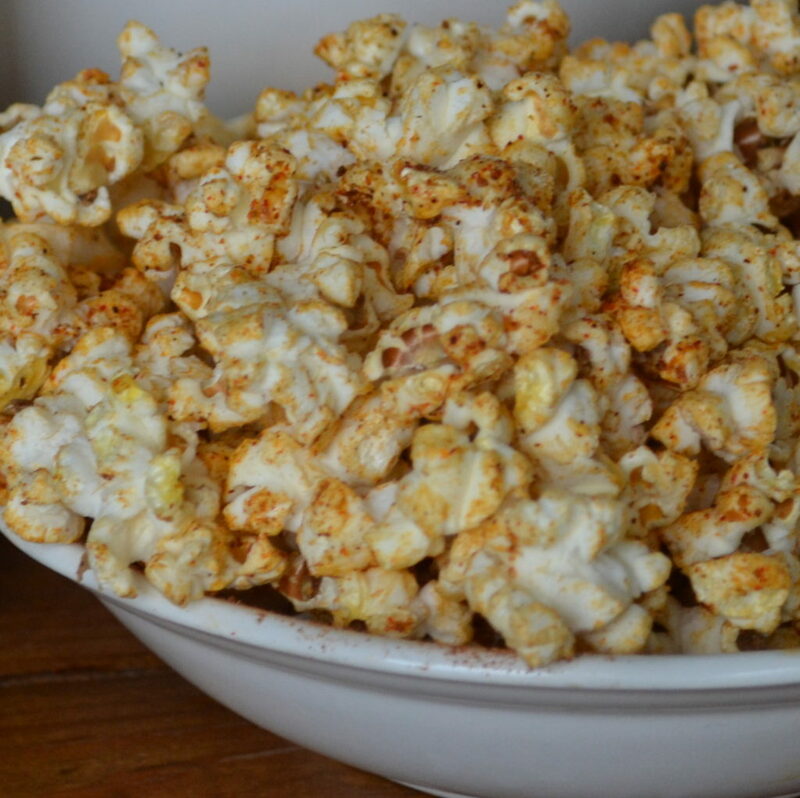 This recipe is one my husband created and we’re calling it Chili Cook-Off Popcorn, because in all honesty, it tastes just like Chili. It actually reminds me of Chili Cheese Fritos, but way healthier, because hello….it’s made with popcorn, butter-flavored coconut oil and seasonings! Boom! Pop your popcorn according to directions. Melt the Barleans Butter Flavored Coconut Oil in the microwave (should take about 1 minute). Poor the oil over the popcorn. Combine the seasonings in a bowl, stir together and then add to the popcorn. Gently stir and toss until all the popcorn is covered. Enjoy! Want it spicy? Add some red pepper flakes! Fast: Add the corn kernels, heat in the microwave and enjoy! Large Capacity: Add ingredients you prefer for flavor. Over 90% of the corn kernels pop. Compact: Collaspible,does not use much space in your kitchen. BPA free: Made with 100% platinum silicone. So, let’s do a giveaway! 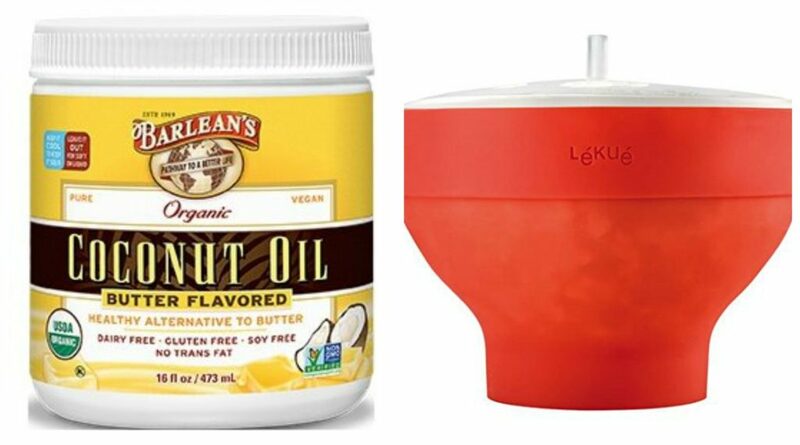 To enter to win a Lekue Popcorn Popper and a container of Barleans Butter-Flavored Coconut Oil, simply comment below, telling us what your all time favorite movie is! Winner will be randomly picked on May 19th. UPDATE: A winner has been picked. Thank you all for your entries! All time favorite movie??? That’s a tough one. I don’t think I’ve ever said no to Miss Congeniality. Definitely not a classic, but lots of fun! Clue and Grosse Point Blank! Hmmm favorite movie….I think one of my favorites has to be Elf! We watch it every Christmas. We love any Disney Movie for family nights. My personal favorite is Moana right now. It’s such a great movie. My all time favorite movie is Fried Green Tomatoes. Thanks for your inspiring and family-centered blog. My favorite all time movie is “The Snowman”! I love the music, the voice of the narrator, the beautiful story and illustration! My all-time favorite is Big Fish (now I really want to watch it…again). Such a hard thing to pick just one movie, but if I had too…Wizard of Oz. I love sharing movies from my childhood with my kids! The first Rocky movie is probably my favorite. I also like westerns. If I am flipping through the channels and see an Audie Murphy or John Wayne movie, I will watch it, even if I have seen it a dozen times. My favorite movie..so hard to choose! But, i like true stories, so i’m going to pick “Catch me if you can”. That is a great story. Hey! You’re the winner! Congratulations!!! My all time favorite movie is Christmas Vacation. We watch it every year after Thanksgiving dinner and then a few dozen more times until Christmas Day. We’ve literally worn out several DVDs. The best part is quoting lines throughout the movie and giggling because it’s so predictable every year who is going to say what! Probably Sense and Sensibility. Or any Jane Austin era movie. My all time favorite movie is The Graduate. I LOVE everything about it! My favorite movie of all time, Man on the moon! Oh, love the idea of this popper! I was just thinking of trying to find a stovetop one and this seems much better! Favorite movie: what’s up doc! All time favorite is hard to pick but I will go with the combo ofFather of the Bride 1 & 2! Favorite movie? Depends what month. For the month of Feb, Leap Year. For my birthday month, Phantom of the Opera (and that movie is good for cleaning house too) ………….